No matter what stage you are at in life, Trader Joe’s has a frozen vegan meal for you. We all get busy sometimes, so if you’re going to go with a frozen meal, just add some more greens and veggies to make it healthier. Trader Joe’s private labels food from different suppliers, so to find the vegan options, you just have to search through their many offerings. 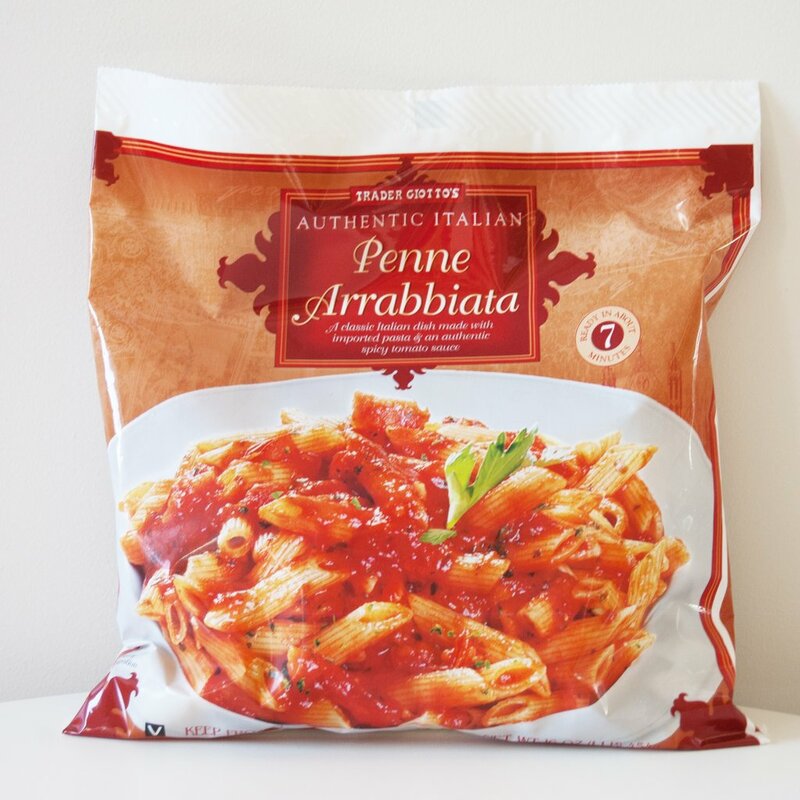 Here are 10 of my favorite frozen or prepared meal items at Trader Joe’s. If you are truly feeling lazy, this is about the easiest method you can get for cooking your own pasta. You don’t have to take time to boil water. Instead, just throw it in a skillet over the stove for about 7 minutes. I like to add broccoli, peas or asparagus to this meal. This curry tastes pretty fresh for it being a frozen meal. I wish it came with more veggies, but you can always add your own. Ordering delivery from Indian food restaurants can get pricy, so heating up this vegan meal is a nice way to get your Indian food fix without breaking the bank. 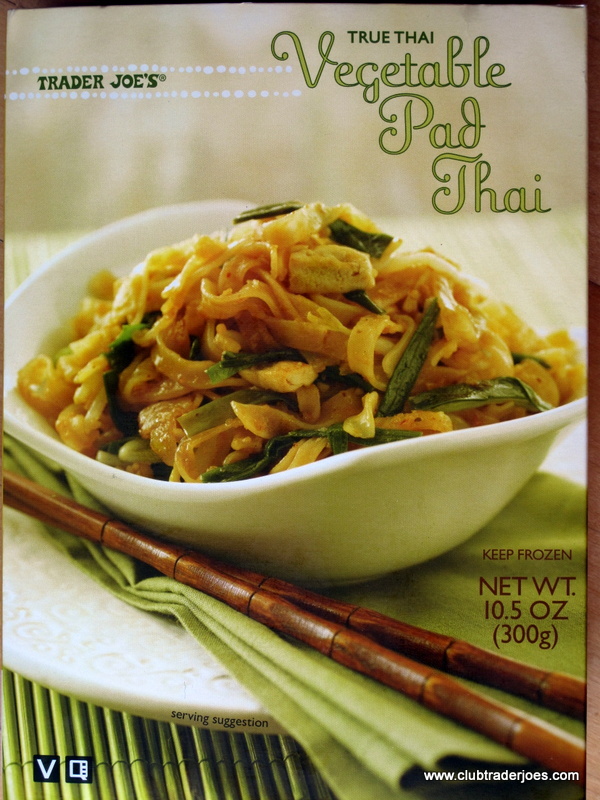 Why pay for delivery vegan pad thai when you can just pay a few bucks for this? It’s pretty good and makes a perfect lunch meal for work. If you like to order Orange Chicken from your local Chinese restaurant, try this vegan version. I love adding the Trader Joe’s fresh riced cauliflower or broccoli to this meal, along with some extra frozen peas or shredded carrots. The more veggies, the merrier! I love popping a couple of these in the toaster oven and putting them in a wrap or salad along with shredded cabbage, carrots, greens, tomatoes, hummus and tahini sauce. Trader Joe’s Black Bean & Corn Enchiladas are made with organic white corn tortillas, corn & black beans. The sauce is so good! These things are easy to pop in the oven (or microwave if you have one, but I don’t. I try to avoid microwaves!). Add some salsa and guacamole. These things are a perfect treat to add alongside one of the Asian dishes on this list, like the Pad Thai, Fried Rice or the Panang Curry. 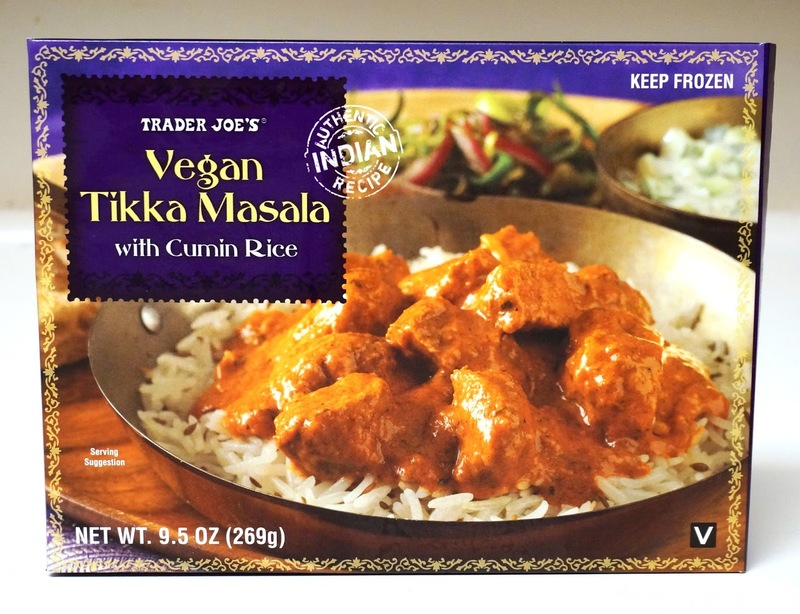 Have you tried any other vegan frozen food items from Trader Joe’s? The japanese fried rice!! It’s seriously awesome, and really flavorful. I add more tofu or edamame and flop the hot rice over some baby spinach so it gets wilty for a super fast delicious meal.